Plot - A successful ad executive and womanizer finds his life turn back to him when he meet his new female boss. Marcus Graham a successful advertising executive and also an insatiable womanizer. His new boss, Jacqueline is exactly the same as Marcus, she is a female version of Marcus and treat him in exactly the same way that he treat to others. And now, for the first time, he’s getting the evasive treatment. Awards & Nominations Won by "Boomerang Movie"
For the song "End Of The Road". For the song: "End of the Road". 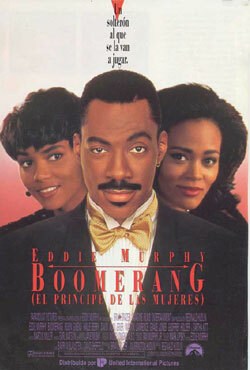 Box Office Earning of "Boomerang"